Geomatics is process of setting a series of standards which deals with the storage, distribution, analysis, collection, processing as well as the presentation of geographic information or data. It can be also defined as the tools, products and services that involves in the integration, collection and the managing of geographic data. It also consists of geomatics engineering and is related to other geospatial branches such as geospatial technology and geospatial engineering. 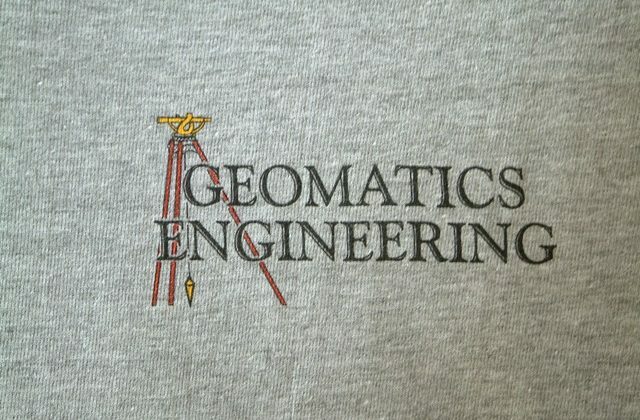 Geomatics is a scientific term which is relatively new. The article was first coined in 1981 when it was published in an article in “The Canadian Surveyor”. The person who introduced the term named Michel Paradis who was a well-known French-Canadian surveyor. He claimed that Geomatics was important to address the geographical needs so as to integrate both land surveying and traditional disciplines. He thus, came up with new techniques and tools such ad manipulation, data capture, diffusion and storage. Geomatics includes techniques and tools that are used in remote sensing, land surveying, geographic information system, geophysics, geography, photogrammetry and global navigation used in satellite systems. Though the term is originally used in Canada, but now has been adohydro geomaticsnternational authorities. Another term hydrogeomatics is associated with the survey of work being carried out above, on or below the water surface areas such as seas or other water bodies. The term used prior to that was called hydrographies that was too specific and could not succeed in including the concept of border or position of all marine environments. Presently, Geomatics has been critical in different ways for assessing and accounting how one perceives and uses space and place. Let’s discuss the various aspects of Geomatics and their characteristics. It is a rapidly growing subset of communication and information technologies. It is involved with complex processes of telecommunication, computing, imaging and broadcasting. The development can be traced of Geomatics by three technologies which are closely related. The first one is known as the computer-assisted cartography or CAC that includes computer aided mapping computer and computer aided design as well. The second area related to geographic handling is through remote sensing related to digital image processing. The last one is the GPS or global positioning system. All these technologies come under Geomatics and are distinct to one another. Geomatics has emerged in the scientific field alongside terms like geocomputation, telegeoprocessing and geographic information science. The terms are known to cover some very interesting terrain along with representing the convergence and overlapping of numerous disciplines. It deals with disciplines like geography, computer science, mathematics, information science, statistics and mathematics. Geomatics runs parallel with sociotechnical as well as techno-scientific aspects. They are closely to related to the emergence of what is called a rapid growing economic sector. For business recognizing big market places are very important. This is where the tools and disciplines of Geomatics comes to use. Through this we recognize the various marketplaces and also try and organize efficient systems of production. This is the last aspect of Geomatics. 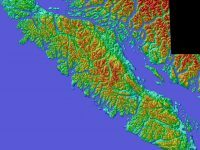 For more information you can use the Vancouver reference generator to throw some more light on the topic. It is way less featured in debates and presentations based on Geomatics but it does have an dimension in the field of infrastructure. This relates to the fact that specific places are referred to as information. Geographic information or in other words spatial data can be said to be an important resource for managing and controlling the society, surveillance and in other ways. This is how infrastructure has successfully been digitised in Geomatics. These were the four aspects of Geomatics which presents its basics. Previous article What is the Difference Between Geomatics and GIS?